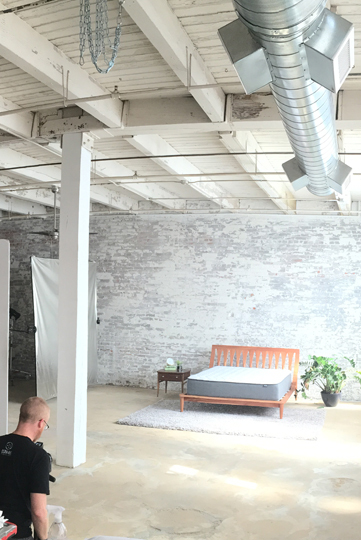 This project was a half day-long photo shoot for a mattress company based in Cleveland, Ohio. 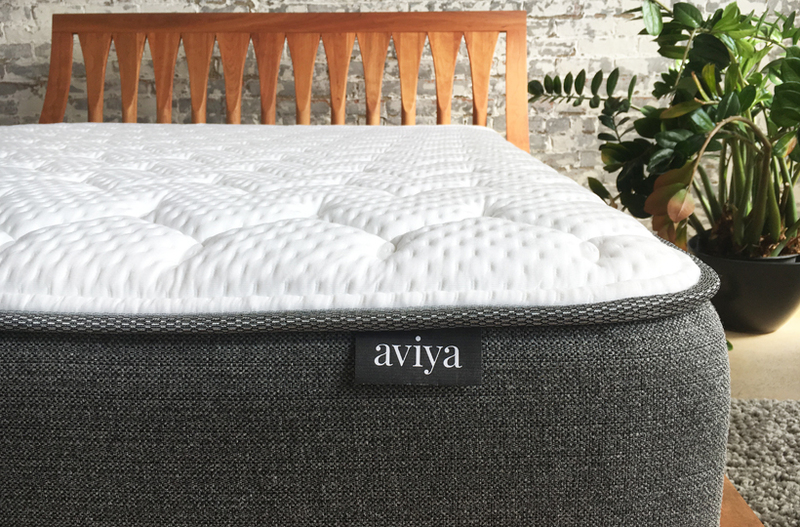 We needed to showcase the mattress and its features for website use and for use in marketing materials. The company desired a minimalist approach to better highlight the comfort and quality of the product. We knew that the photography would be mainly whites and grays, so we set out to find a warm wood, mid-century modern bed for contrast. 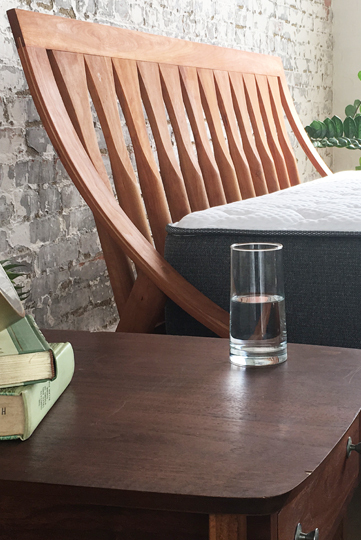 This beautiful, custom bed was the perfect backdrop for this product. We then carefully selected and placed complimentary pieces in the space to add visual interest without distracting from the feature product. The resulting photographs were able to be used across multiple demographics for both digital and print. They served an important role in developing Aviya’s branding and aided in the growth of the company by over 200%. I want to create meaningful spaces that inspire, nurture and serve the humans in them, whether those humans are customers or employees. 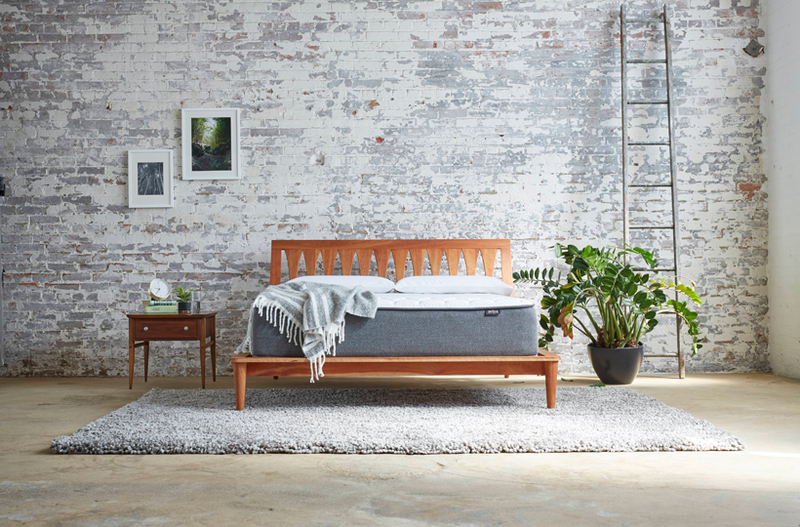 Photography shoot set styling for an online mattress company based in Cleveland, OH.